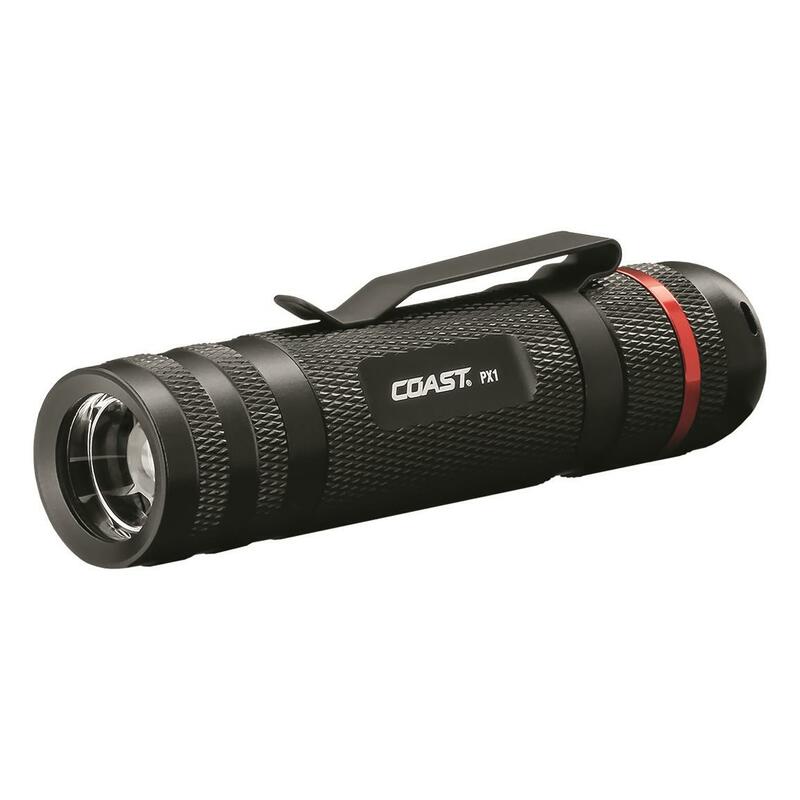 Despite its compact, pocket-friendly size, the PX1 LED Flashlight harnesses the Pure Beam Optic with twist focus. 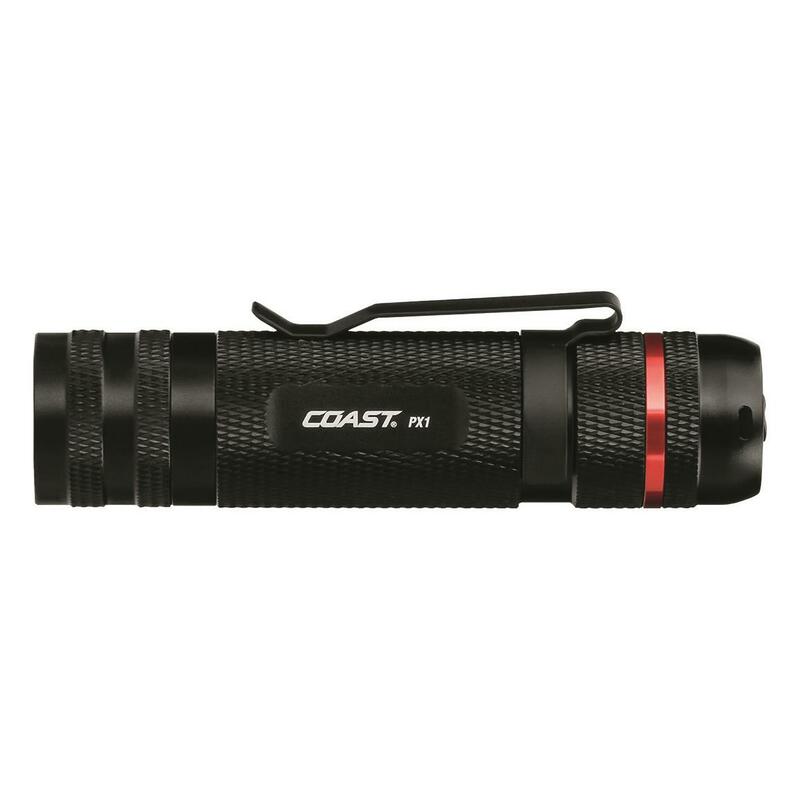 While in flood mode, the COAST® light casts a huge circle of light that is equally bright throughout. Simply twist it into spot mode, and the light reaches far downrange with a transition halo that offers a larger viewing area surrounding the tight spot beam. Integrated pocket clip keeps it secure in your pocket. Runtime (high): 2 hrs. 15 min.